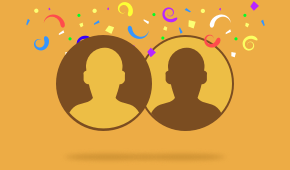 Feel more connected to your friends sharing the moments that matter most to you with Uplet. 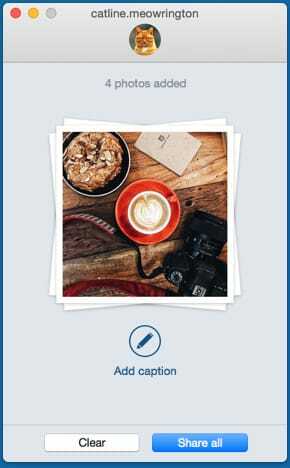 The app lets you upload multiple high-resolution photos without compromising their original quality and add original captions from the convenience of your Mac keyboard. With an emphasis on simplicity, Uplet is designed to power your photo and video sharing experience across Instagram. 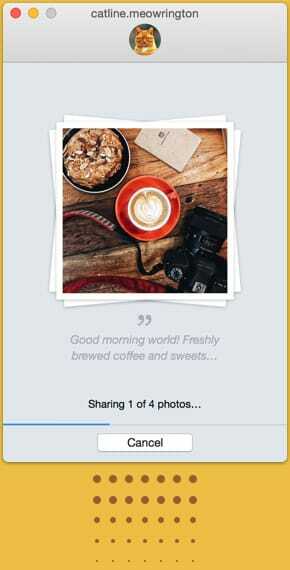 Drag and drop all your favorite photos to Uplet and share them all in one go. Dress up your photos with relevant captions. Post full-size images if you don’t want to share photos in the square format. 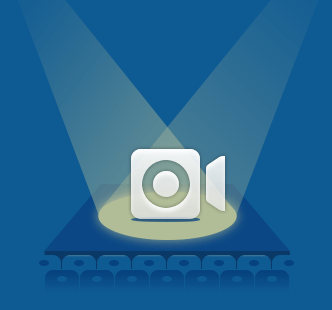 With the new video uploading feature, Uplet is now capable of posting multiple mini-movies to Instagram right from your Mac. 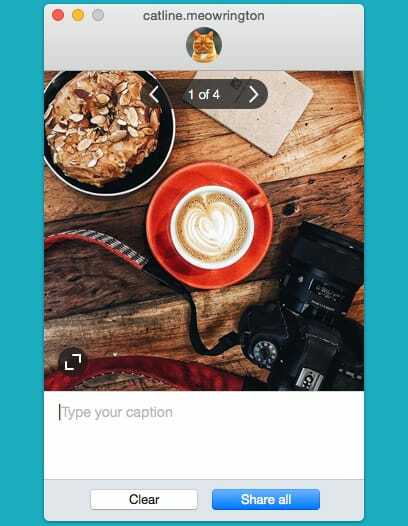 Uplet lets you edit each image or video you're planning to share on Instagram individually. No need to worry about photo proportions and aspect ratios as long as you can alter your images size and change orientation of your photos with Uplet. Add some creativity to your pictures with exclusive captions, emojis, and hashtags Uplet offers. 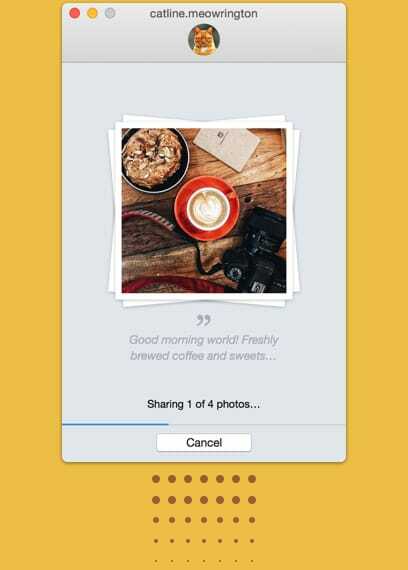 The app will help you share all preferred pictures and videos with nothing more than one click of your mouse. 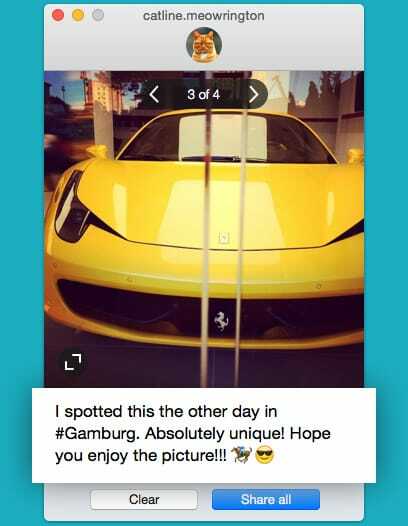 *Sharing multiple photos and videos as a single post will be available in the upcoming versions. Uplet will ask you to login into your Instagram account prior to starting work, so be sure to create one if you haven’t done it yet. Uplet allows you to post valuable content you’d like to share to all your Instagram accounts by simply switching between them in the app. Avoiding multiple re-logging, you can save time and significantly enhance productivity. Uploading to Instagram from Mac has never been simpler. Making the process of sharing things you are passionate about most enjoyable and as smooth as it can be is fairly core to Uplet’s mission. 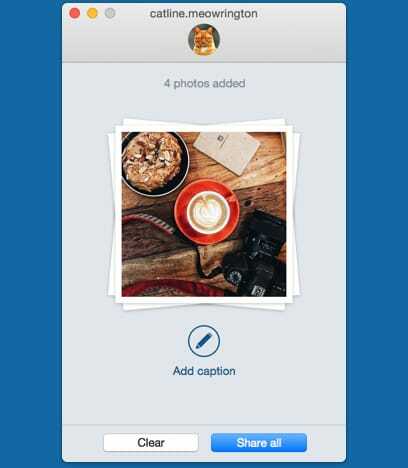 "Share multiple photos with a click, including higher resolution images. 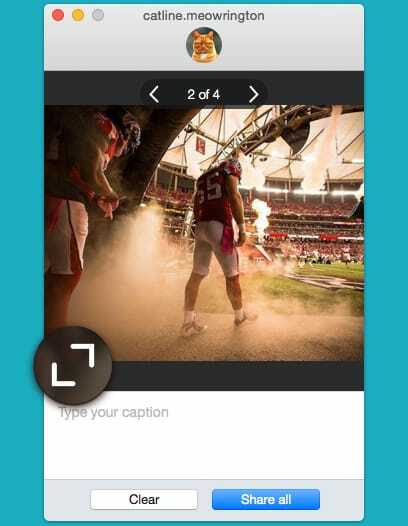 Even captions can be added to a photo uploaded to Instagram. Right from your Mac." "Eltima’s Uplet is an easy to use macOS application that allows you to upload multiple images and videos to your Instagram account from your desktop computer." "Uplet is a simple app that allows users to drag and drop photos & videos and bulk upload them to Instagram in a few seconds." 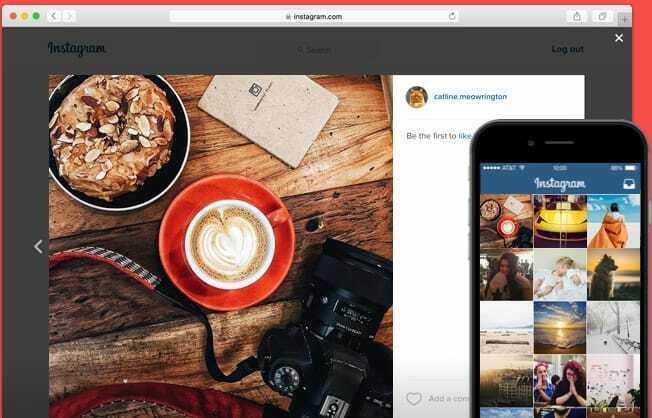 "Users can upload high-resolution photos and videos to multiple Instagram pages right from their Macs, without the need to re-login each time." Copyright © 2019 Electronic Team, Inc. and its affiliates and licensors. All rights are expressly reserved. The software programs and accompanying documentation are the copyrighted property of their respective owners and protected by copyright laws and international intellectual property treaties. Uplet ® and all related product and service names, design marks and slogans are the trademarks and/or registered trademarks of Electronic Team, Inc. and its affiliates and/or its licensors. All other product and service marks contained herein are the trademarks of their respective owners. Any use of Electronic Team, Inc.’s and/or its affiliates’ or third parties’ trademarks or logos without the prior written consent of their respective owners is strictly prohibited.